There are over 55,000+ plugins in the official WordPress plugin repository. That’s, like, a lot. Of course, not all of them receive regular updates and use, but the ones we are going to talk about today don’t fit those criteria. No, this post is focused on the most popular WordPress plugins of all time. Ever wonder which plugins get used the most? Wonder no more – we did the math! Below, you’ll find the data-backed list (i.e. this is not an opinion list). Here are the 10 most popular #WordPress #plugins of all time - based on #data! Based on the actual download numbers from WordPress.org, these are the 10 most popular WordPress plugins of all time from the 55,000+ plugins that are currently available. One of the plugins that gets a lot of love from people is, without a doubt, Yoast SEO. This plugin is used by (almost) everyone who has a blog or site on WordPress. In fact, it can be hard to find websites that DON’T have Yoast SEO installed (well – we know of ~50 million actually! Check out #7). So, if you’re one of those people who doesn’t use this plugin… well, it helps you improve the overall SEO score of your articles and pages. With it, you can set your main keyword, the meta description, slug, SEO title, the alt attributes of your images, and it also recommends the best practices for good readability. It’s nice because the plugin offers stats and actionable advice on how to improve your work and, when everything is done by the book, you get the green light. Who can use Yoast SEO? I think it’s for everybody because we all want to rank better in the search engines, don’t we? Not far from Yoast SEO when it comes to the number of downloads is Akismet Anti-Spam. Akismet is a tool developed by Automattic, made to automatically block spam comments. Every day, we are spammed by either promotional links, irrelevant stories, malicious content or simply by mistake. And it’s very hard to filter them all by yourself, especially if you own a business that gets hundreds of comments per day. The plugin is good not only for automation but also for security purposes since it won’t allow malicious or problematic content to be published on your site. Akismet also checks all your contact form submissions against their global database of spam, so you’ll be sure only the good and relevant information gets to you. The plugin is mandatory for blog and business owners who receive at least tens of comments daily. Another plugin built by Automattic makes the top of the most popular WordPress plugins. This time, it’s Jetpack, a multipurpose tool that’s good at (almost) everything. It helps you with marketing, design, and security. Among its various features, you can find site analytics, automated social media posting, multiple WordPress themes, spam filtering, downtime monitoring, malware scanning, login security, lazy image loading, CDN, and more. Jetpack comes in one free and three paid plans, so not all of its features are free of charge. The plugin is suitable for personal blogs, and for both startups and corporate businesses. It fits all the basic needs and all budgets. The next most popular plugin is Contact Form 7, which creates simple and effective contact forms for your blog. Given that all of us need an easy way to connect with people, it’s not a surprise to see this plugin so high on the list. The plugin was developed by Takayuki Miyoshi and can handle multiple contact forms on the same site; it also integrates Akismet spam filtering and lets you customize the styling and fields that you want to use in the form. The plugin provides CAPTCHA and Ajax submitting. Again, this is one of the plugins that can be used by absolutely everyone, no matter if you’re running a personal blog or you’re having a business that you monetize. Why? Because it’s free, easy to configure, and efficient. As you can see, the most popular WordPress plugins are diverse and come with a wide range of features. Now, Wordfence is a plugin only about security; it was created to keep your site safe. Wordfence puts a firewall on your site to keep it away from malicious traffic. Apart from that, it offers a malware scanner which blocks suspect external attempts and provides a secure login system. What’s nice about this plugin is that it provides alerts every time something weird happens on your site. By weird, I mean anything that shouldn’t happen in terms of security. For instance, when a plugin that you use gets closed or abandoned or when a vulnerability issue takes place. At a first sight (and in a professional’s book), having Wondfence installed on your WordPress site is mandatory if you don’t want to face unneeded problems or at least if you want to decrease potential dangers. But of course, there are lots of people in this world who don’t think security is something to worry about, so… Keeping your site in check would be ideal, but it’s only up to you how you see things and how you want to deal with issues (prevent them or fight them when it’s the case). How could e-commerce miss this list of the most popular WordPress plugins? WooCommerce is the plugin that lets you turn your WordPress site into an online shop, so you can sell your products to your clients on the web. Of course, this plugin was built for commercial purposes, so all its users must be business owners (be it for side projects or for a living). What’s nice about WooCommerce is that it’s very flexible in terms of customization options. Apart from the built-in settings, lots of developers built a community around it and created extensions, so that selling online can be as smooth as possible. With WooCommerce you can sell both physical and digital goods, add product variations, use affiliate links, and extensive payment methods. SEO is a very popular topic across the web. When it comes to what gets shared in WordPress, we found out that SEO was the second most interesting topic, after plugins. So, if you want to experiment more or need an alternative to Yoast, you can try All in One SEO Pack, created to help both beginners and advanced users alike (including developers). How does this plugin help you? Apart from the basic SEO instructions for content optimization, the plugin also offers XML sitemap, Google Analytics, and Google AMP support. An awesome feature of this tool is that it provides SEO integration for e-commerce sites. Who can use All in One SEO Pack? Everyone. If you host a personal blog which you want to grow, own a business of any type, or you’re a professional blogger, this plugin should be a valuable addition to your artillery. Is there anyone in this world who’s not using Google Analytics? I mean, especially if you have big plans with your website. If you want to grow your personal, hobby blog into something that you can monetize, you can’t do it without Google Analytics. So Google Analytics by MonsterInsights is a plugin that makes the connection between your WordPress site and Google Analytics easier. The plugin offers quick and powerful integration if you simply copy and paste the tracking code to your site. After you do this, the plugin just works. A cool feature is that you can monitor the stats without leaving your dashboard because it imports the numbers from Analytics to your WordPress admin area. Performance is essential, so it’s no surprise that #9 is a plugin that’s in charge of speeding up your website. How does it work exactly? By generating static HTML files from your WordPress blog to save time. WP Super Cache comes with three types of caching: Expert, Simple (recommended for beginner and intermediate users), and WP-Cache catching. This plugin is also one of those that you must install on your website because it helps you big time, especially if you host a large amount of content (read media files: photos, videos, animations etc). So if you consider your site heavy from this standpoint, then a caching plugin will make it lighter. As we finish up this list of the most popular WordPress plugins, let’s meet WordPress Importer along the way, which is also part of the most popular WordPress plugins that were ever created. So if you want to import files from a WordPress site, this plugin lets you do it in a few clicks. 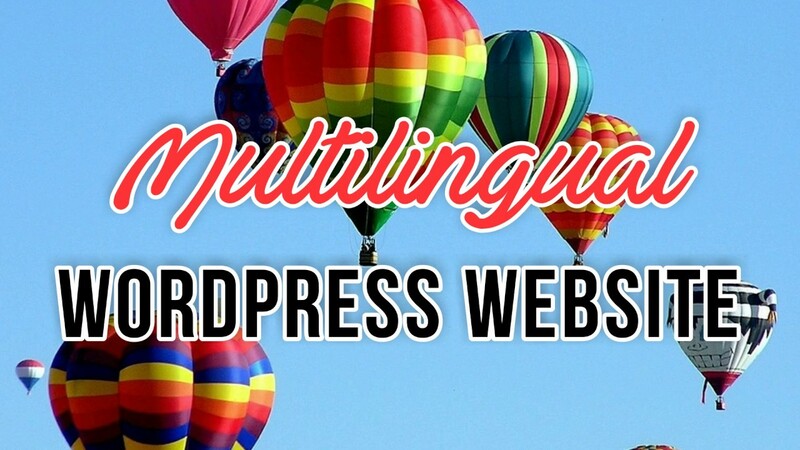 WordPress Importer allows you to import pretty much anything into your site. This plugin was built for two categories of people: those who own more than one website and import/export content often and those who occasionally (or even once in their lifetime) need this plugin to migrate the content from the current site to a new one. Did the most popular WordPress plugins surprise you? Based on the data from WordPress.org, these are the most popular WordPress plugins in existence. Did any of them surprise you? And we’d also love to know which of these plugins you’re using, as well as any alternatives that you’d recommend.